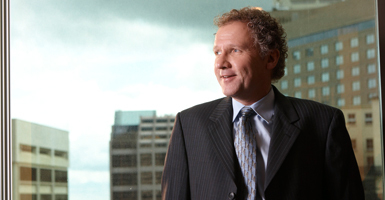 Gordon Sharek, QC was a partner at Sharek & Co. prior to his appointment in 2012 as a judge of the Provincial Court of Alberta, Civil Division. The legal team at Sharek Logan & van Leenen LLP wishes Gord all the best in this new endeavor. While we were sorry to see him go, we take pride in knowing that his appointment speaks to the quality of the legal representation offered by our firm. 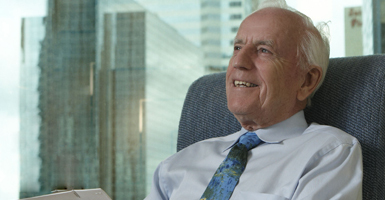 After 59 years of loyal and commendable service, Mr. Alex MacIver retired from the legal profession in 2012. The legal team at Sharek Logan & van Leenen LLP is thankful for his service and the positive impact he had on our staff. We wish him nothing but the best during his much deserved retirement years and are hopeful that he will stay in touch. He leaves us knowing that his clients will get the same respectful, diligent and quality legal representation they had come to expect from our friend and colleague, Alex. Recognizing the importance of giving back to the communities where we live and work, the lawyers at Sharek Logan & van Leenen LLP contribute both time and money to the community charities and activities shown below.